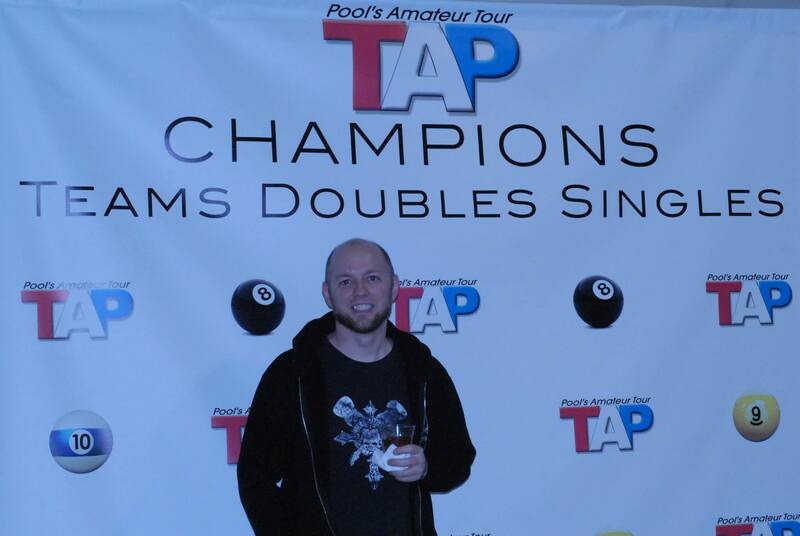 The 2014 TAP Nationals were held on November 12 thru 16 in Dallas, Texas at the Hilton Anatole, a first class resort. More than 30 players competed in a record year. 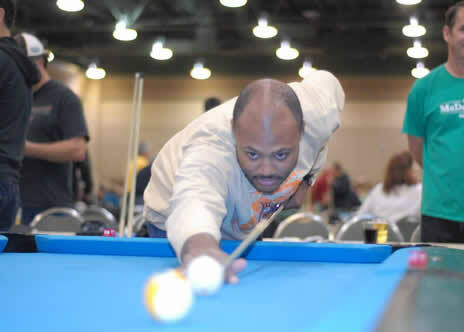 Players were awarded travel packages through team and singles Vegas Masters events and some joined us on their own in this fabulous adventure competing in 8-ball, 9-ball, 10-ball and Scotch Doubles. 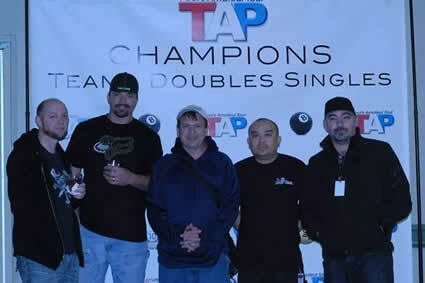 Over $7,600 was awarded to TAP Las Vegas' National participants with Eric Nguyen winning the 10-Ball singles championship for the 2/3 bracket, Jason Osborn winning the 4/5 bracket and Mickey's Hustlers making it all the way to 2nd place in the Alamo (middle) bracket, pictured on here: Jason Osborn, Rob Hately, Donnie Branson, Eric Nguyen and Zach Franzi. Congratulations also goes out to all of the great teams and players. 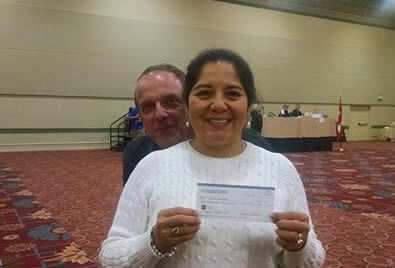 They represented Nevada with style and grace! The Nationals started on day 1 with the 8-Ball and 9-Ball round robin tournament with 8-ball teams, That's How We Roll achieving 10 points and making it to the National "Lonestar" Championship Board and Mickey's Hustlers and Crazy 8's making enough points to place them on the 8-Ball Alamo Board and Cheers 2 U in the Maverick board. Players also started their singles matches. 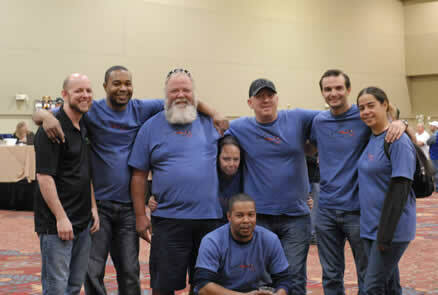 On Day 2, the Rally Rodeo round robin tournament began with English Majors achieving 9 points and advancing to the Champions Board; and Y-Sure, Sin City Strokers and Vegas Hustlers making it to the Rally Alamo (middle board). Singles continued. On Day 3, the single elimination team tournaments began. 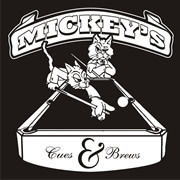 Mickey's Hustlers continued their rain of terror through the entire day and into the evening, winning match after match. State Champions, That's How We Roll (pictured to the right: Jason Osborn, Reese Romney, Dale & Leslie Weishar, Mike Starr, Derek Armstrong, Nicole Civetz and Jeremy Head, team captain [in front]) and Rally team, English Majors (Howard Dameron, Mike Starr, Brandon Ryan, Dale & Leslie Weishar, Lloyd Gagnon and Zeke DeRose) defeated their first opponents, placing them in the top 16 and in the money. National team, Crazy 8's and Cheers 2 U and Rally teams, Sin City Strokers, Vegas Strokers and Y-Sure had amazing battles and lots of fun, but unfortunately, placed one out of the money. 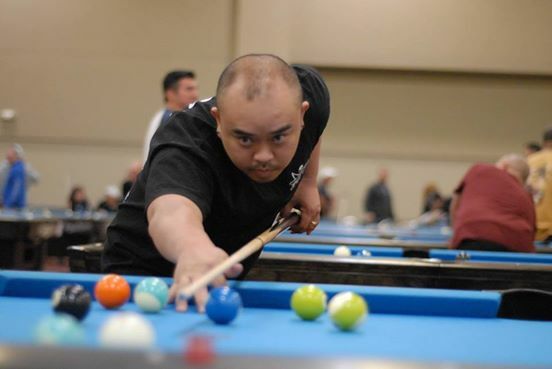 Eric Nguyen won the 10-Ball Championship. 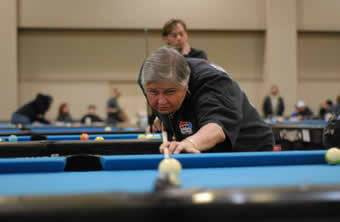 Anne Carmona won 7th Place in 9-ball in the 4/5 bracket. Singles continued and Scotch Doubles began. 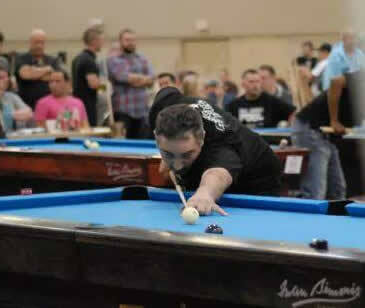 Mini-tournaments are scheduled throughout the events as time allows. 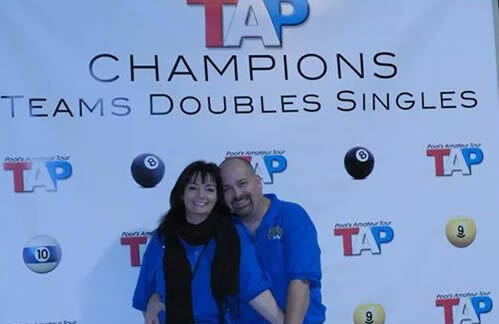 Visit the main TAP League web site to see the latest information on qualifications.